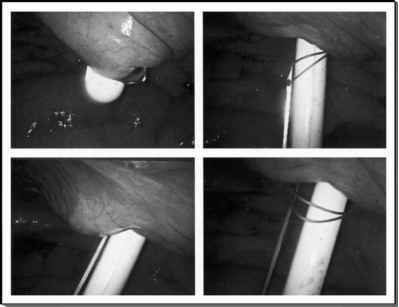 In fibrous retroperitoneal tissue after surgery, chemotherapy, or primary retroperitoneal fibrosis, laparoscopic identification of the ureter and the great vessels is sometimes difficult due to the scar formation with loss of normal anatomical landmarks. Trombetta et al. utilized a 7.5 MHz semiflexible laparoscopic Doppler ultrasound probe to identify the ureters adherent to the iliac vessels during a case of ureterolysis for retroperitoneal fibrosis, as well as the location of the renal vein, aorta, and mesenteric artery during retroperitoneal lymphadenectomy in a patient with testicular cancer (49). Laparoscopic ultrasonography can visualize and characterize tissues or lesions beyond these identified by laparoscopic examination, thus extending the repertoire of minimally invasive surgery.